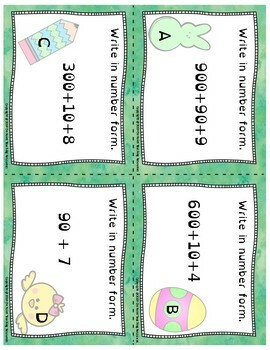 Help students practice understanding place value up to the hundreds place with these solve the room or scoot cards. Cards feature Dyslexia-friendly font for ease in reading from www.opendyslexic.org. 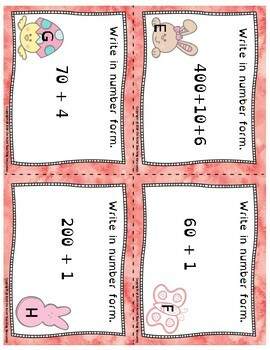 Print these cards on cardstock and laminate them for durability. 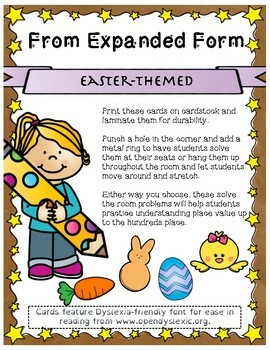 Punch a hole in the corner and add a metal ring to have students solve them at their seats or hang them up throughout the room and let students move around and stretch. 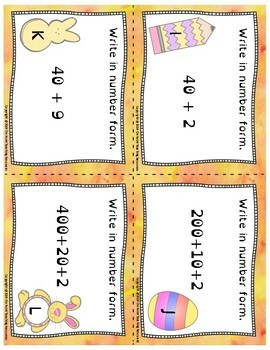 Visit my store for more scoot cards and other activities!